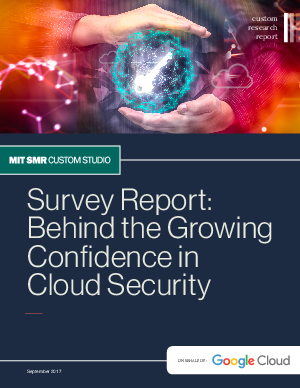 In a recent global survey conducted on behalf of Google Cloud in association with MIT SMR Custom Studio, respondents were asked: over the last two years, how has your overall confidence in the security of cloud applications and infrastructure changed? The response was encouraging. 74% of respondents have become more confident in cloud security. The age of unthinking fears about cloud security is over. Not only is cloud adoption rising steadily across geographies, industries and job functions, but confidence in cloud security is rising as well — to the point where increased security is a major reason enterprises opt for cloud solutions. Download this report and find out more.